I’m not much of a chemistry expert, but I particularly enjoyed mixing things whilst at school. I guess the fascination of molecules and compounds integrating to create something really got me excited about wines, cocktails and food. Something about the process of making and mixing really excites me. It’s the same with cooking, I love experimenting and creating harmony in a vessel. I recently went to the fairly new and exclusive, private members residence, The Colmore Club in Birmingham. I thought I was a wise travel girl, but this place was very hidden! My excuse being I’m new to the city, I kept walking back on myself even though I caught an Uber! Situated just off the Colmore Row and Newhall Street junctions, and through an unassuming bottle green door, you descend into a delightful cave. 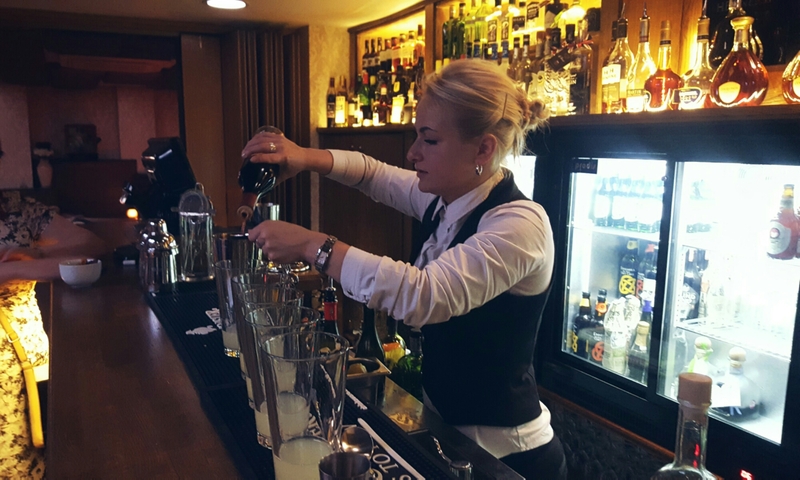 The club is housed in a grade II listed building and besides a new bar and finishing touches, much has remained the same. I particularly liked the private dining room/ conference room for 4-10 guests that can be hired out free of charge to members. It still has original slates from what used to be the wine cellar! 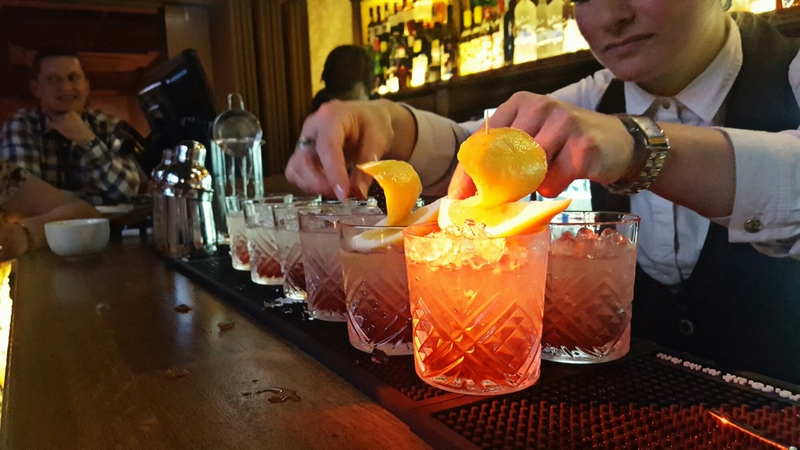 Due to the nature of the premises I was unable to take pictures of the interior of The Colmore Club, however I was able to take pictures of the cocktail making. The evening started off with an introduction from our host for the night, mixologist and cocktail making extraordinaire Anna. We were introduced to five interpretations of classic cocktails and an extra special homemade treat or rose liquor from Anna. Her passion and knowledge for the drink hospitality industry really shone. 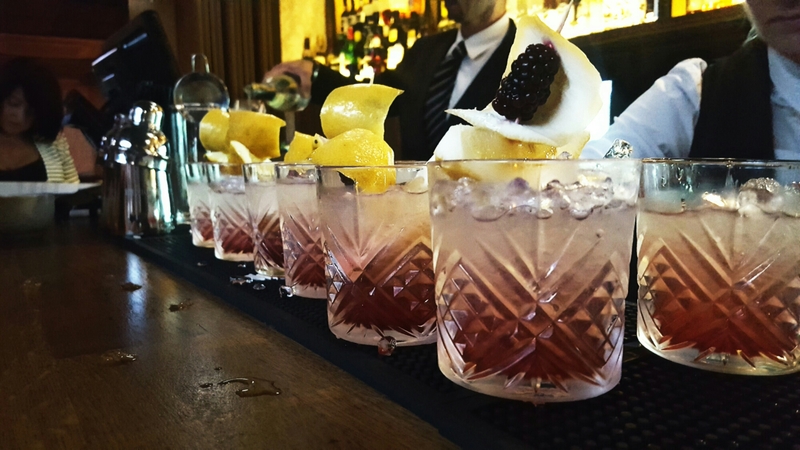 An ode to London, our first cocktail Bramble was created in London and can be described as a British Spring cocktail. Think blackberries, gin and lemon juice in a glass. Simply refreshing. 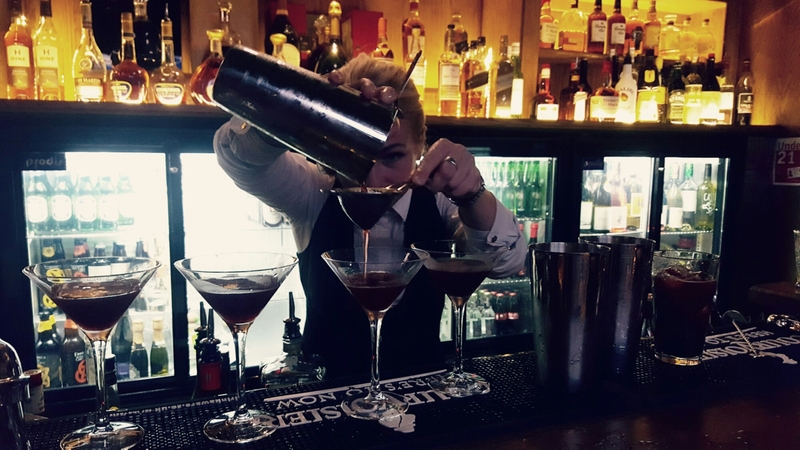 Anna used No3 London dry gin, crème de mûre (blackberry liquer), a naturally cloudy limoncello, cherry syrup and fresh lemon juice. The bitterness of the fresh lemon worked well with the pleasant sweetness of the limoncello. A twist on Sangria was the second cocktail of the night. Its recipe is almost poetic. Muddled blueberries, gomme syrup, amaretto, red wine, crème de mûre and fresh pomegranate. The concoction was creamy, slightly nutty, whilst being light, refreshing and fruity. I have a bottle of Disaronno at home, so I’m hoping to make this over the Summer! 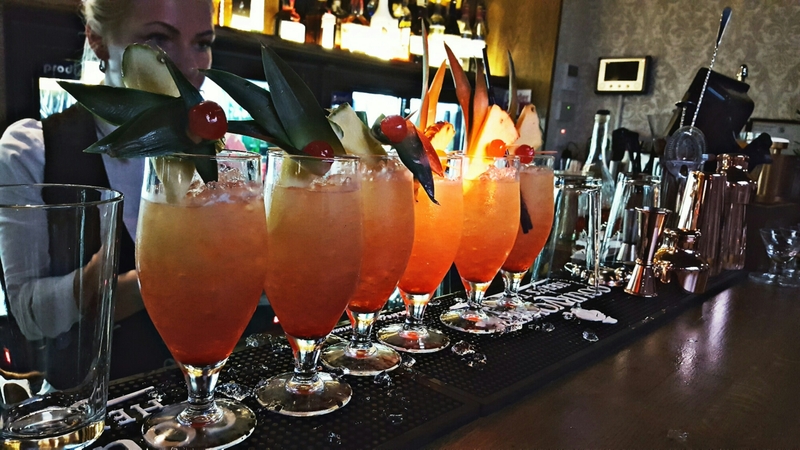 This truly was my favourite cocktail, and yes I liked all of them! 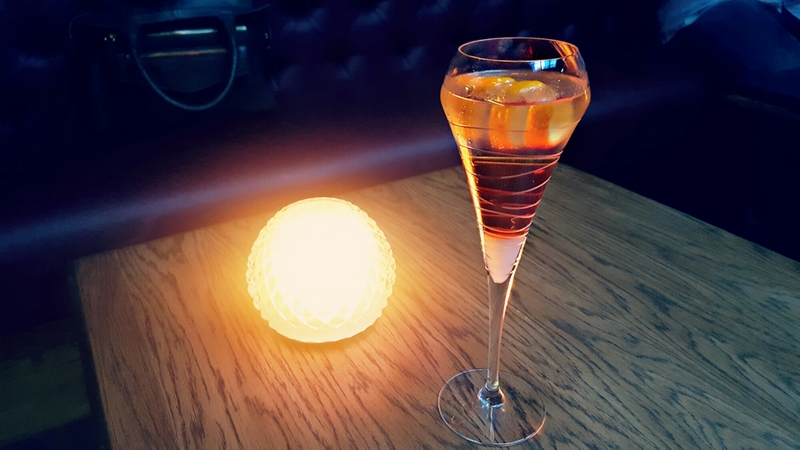 The Aperol Twist Spritz took me back to Verona and eating Cicchetti, washed down with copious amounts of Aperol Spritz on street corners. I love how food and drink does that..
Anna used Aperol (Campari’s tastier, less bitter sister), cherry Marnier, a dash of rose bitters on a sugar cube finished with Prosecco slowly layered on top. I liked the hint of rose, not too prevalent and not too hidden. Just right. The cherry Marnier provided delicious complexities that need a blog post of its own. Gingerbread spice, vanilla and cherry counterbalanced by bitter orange and grapefruit finished with rose and spritz. My final cocktail for the night was a Mai Tai. I did a happy dance inside when I realised we were ending on this. When I want coastal, sunshine in a glass this is my go to drink. I just close my eyes and imagine I’m on the beach, try it, it works! 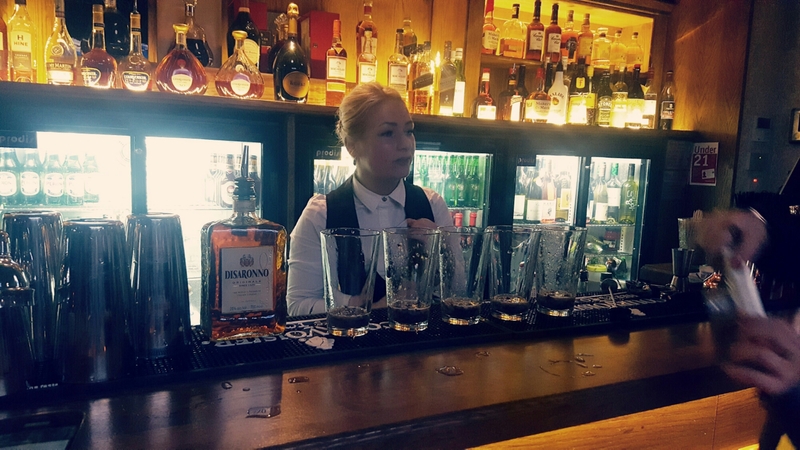 Anna used the Appleton Estate Rum, a really nice woody, aromatic rum with nuances of sweet spice and vanilla. 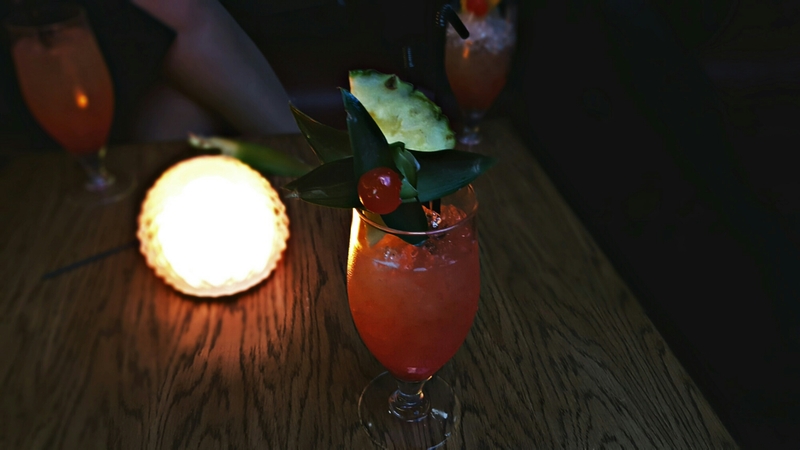 The rum was shaken vigorously with orgeat syrup, pineapple juice, orange juice and layered with grenadine. All in all, a lovely event making me wish the rainy days of British Spring/ Summer would end. Come on sunshine you can do it! Thank you David (Dave) Roberts and Jonathan (Jon) Wilcox for having me. NB: I was invited to attend the cocktail evening complimentary as a guest. My writing, my views.